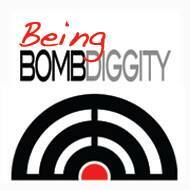 Welcome to the “Being BOMBDIGGITY: Flourishing in Business, Life, & Leadership blog! So, what does “BombDiggity” mean? The urban dictionary defines “BombDiggity” as 1) Complete awesomeness, 2) Incredible, beyond anything you could imagine, 3) Awesome, wonderful and way cool. 4) Awesomeness in its purest form. When I hear or say this word-the positive sound and meaning excites and energizes me. Frankly, when I think about “business, life, and leadership,” I can’t think of another way I’d rather be. So welcome to “Being BombDiggity” – enjoy the journey.